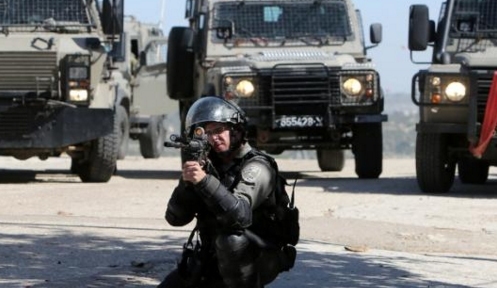 A Palestinian woman was shot-dead by Israeli soldiers this morning under the pretext that she tried to stab a border guard, at the Eliyahu military checkpoint in Qalqilya, northern West Bank. ["22-year-old woman shot-dead by soldiers at Eliyahu checkpoint, Qalqilya", Palestine News Network, November 8, 2015]. Under the pretext, they say. Pretext. Her letters are all over the Arabic-language social media today (Twitter tweets here, for example). Knowing about the letters, more accurate terms to describe the events at the crossing this morning might be lethal attack, murderous attack, knifing attack, stabbing attack, or even just attack. Because one thing is perfectly clear in this case as in so many others: Miss Uweisseh of Qalqilya came to the checkpoint in order to kill someone. That she was indifferent to what might happen to her is probably true but not the point. This attack was about killing Jews, Israelis. The connection to suicide is incidental, secondary and misleading. So on what basis does PNN claim the killing of the young woman was done on a "pretext"? Probably on the same basis that brings certain other parts of the media to frame the attempted murder of Israelis via a focus on the attacker's failure and death. And entirely predictably, the propagandists of Hamas via their Twitter account say: "#IOF forces execute Palestinian lady Rasha Al Ewasi, 23, at a military checkpoint east of #Qalqilya city. 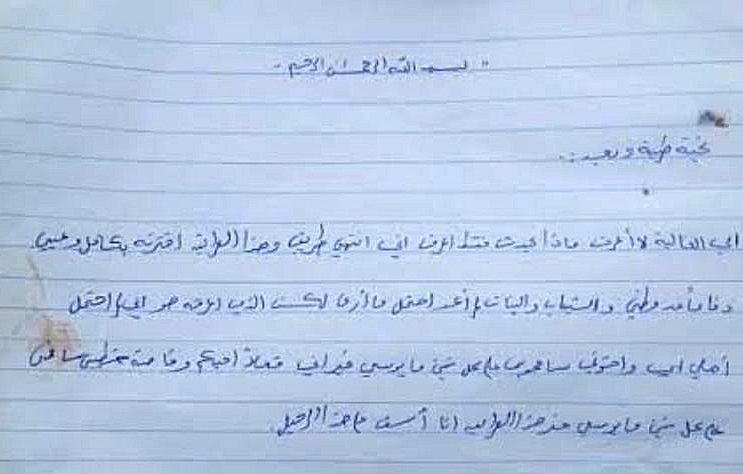 #WestBank"
BBC Arabic's report [here] of the attacker's death is mysteriously silent about the letters she left behind. No mention of them at all. To the surprise of no informed observer, the dead woman has already been proclaimed a "martyr" by the Palestinian Arab media machine [here] whose accounts of how she was "shot dead in cold blood" will ensure a steady flow of more such attacks and deaths. Mission accomplished. The selective reporting of the manner of her death and what brought her to carry out the attack are critical components of the incitement and brain-washing that make this possible. It's part of a process that deserves to be called what it is: lethal journalism. @MaanNewsAgency Its getting kind of tiring to have to mention "after she tried to stab policeman" to your tweets. Here is the Palestinians mentality – start daily riots, throw rocks, barricade themselves inside the building, throw firebombs, then blame Israel for being violent when they have to come up there and arrest your brain-washed minions. The violence is and always has been firmly in the laps of the Arabs who misnomer themselves ‘Palestinians’. The best article describing how the media promotes Pallywood.